Karthik Muralidharan is a Professor of Economics and Tata Chancellor's Endowed Chair in Economics at University of California, San Diego. His research focuses on improving education and health in developing countries. He has studied the impact of performance-pay for teachers, the impact of contract teachers, and the impact of cash grants to schools on student learning outcomes in India via large-scale randomized evaluations. Current projects include studying the impact of school choice programs in India, and the impact of teacher certification, across the board salary increases for teachers, and continuous teacher training programs in Indonesia. 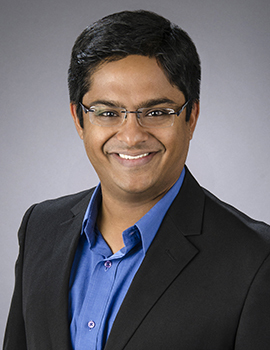 Karthik earned his PhD from Harvard University and is Co-Chair of J-PAL's Education sector.